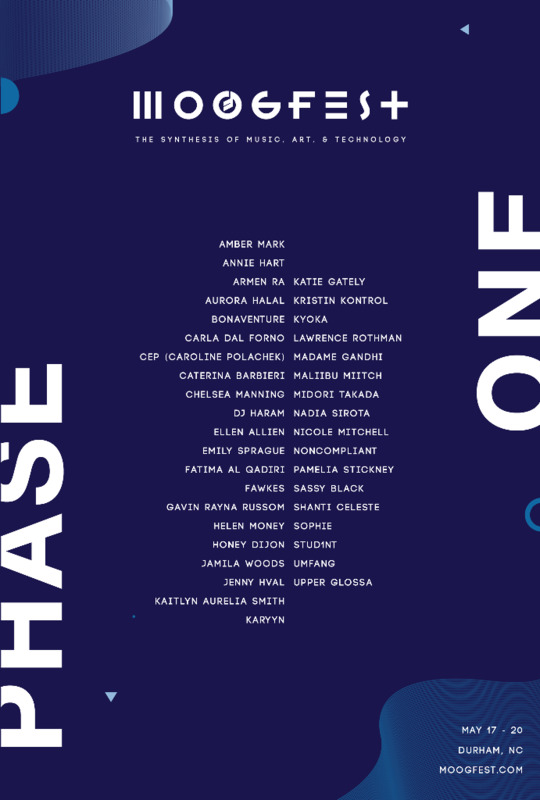 Today at 12 p.m. EST, Moogfest will hit play on a 50-hour livestream that will showcase 52 women, non-binary, and trans artists working across a wide variety of experimental and electronic music realms. 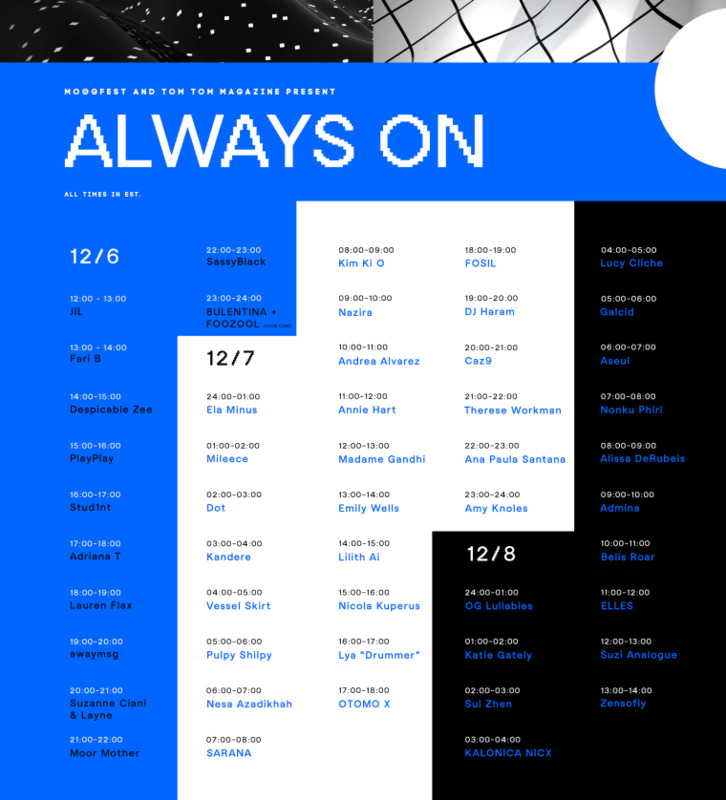 The initiative's called Always On and was curated in partnership with Tom Tom Magazine. Artists including DJ Haram, Suzi Analogue, Katie Gately, Moor Mother, stud1nt, Club Chai's 8ULENTINA and FOOZOOL, Madame Gandhi, and synth legend Suzanne Ciani will each perform for one hour across the three-day extravaganza. The news of the livestream comes with the first lineup announcement for the 2018 edition of Moogfest, which will be led by a keynote conversation with Chelsea Manning on the future of creativity. Watch the livestream here, and check out the 2018 lineup for Moogfest below.